Australia-based Emerald Waterways has only been around since 2014. They offer luxury river cruises on Europe’s rivers for a younger clientele. They hire crew from around the world. 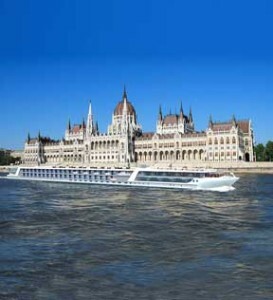 Emerald Waterways made its debut in spring 2014 with two 182-passenger ships, Emerald Star and Emerald Sky. Its parent company and sister line, Scenic was already an established river cruise company. Emerald Waterways is a more budget-friendlier version of Scenic. In 2015, Emerald introduced two more river vessels (Emerald Sun and Emerald Dawn). In 2017, Emerald Liberte and Emerald Radiance will debut. Emerald Waterways uses G&P Cruise Hotel Management to assist with their recruitment needs.